Red for Miles – Right Through the Fog! 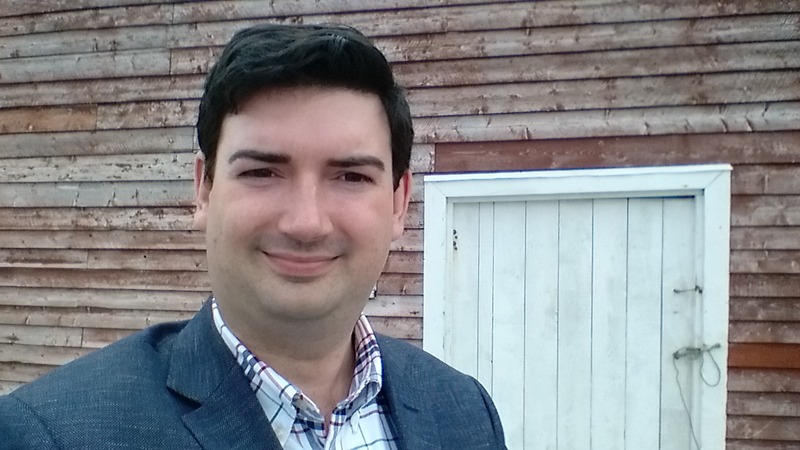 I spent time yesterday in the “Beauty Spot of the North” – Conche, NL to talk with residents and participate in the annual garden party tradition. After lunch and between the matinee, I did take some time to visit Fox Head, memorial airstrip, French Shore Interpretation Centre, wharf, tour the town, chat with residents and of course visit the red fishing rooms. 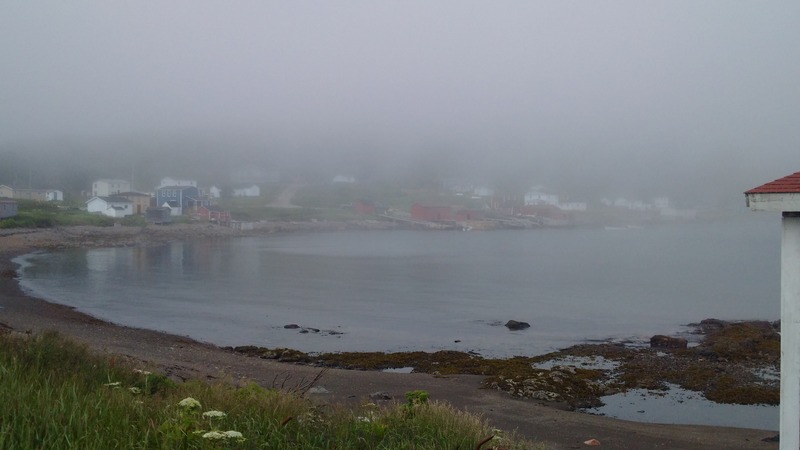 I think it was the first time in Conche where I experienced such fog, it seems the days are typically sunny in this vibrant and cultural centre. I did snap lots of photos from flowers to fishing nets to the colourful houses and stages, especially the red fishing rooms on Crouse Drive. Even through the fog, it feels like fisherman red for miles! The bright read gleams in the fog as the lobster traps and fishing boats are safely moored in the harbour. These buildings have recently been painted, ensuring that they are around for the long haul. I had a great chat in the shed with Gerard and his cousin on my last visit about the fishery, the many challenges and the future. They are quite industrious as they were engulfed in building their own boat launch. Our history, culture, tradition and our future is proudly on public display in the community of Conche. A true destination, over a 17.6 KM gravel road that is desperately in need of paving. Fire wood, folk art and an forgotten Ford (maybe) are also part of the visual one will experience in this part of the Town. I have many more images of the jelly bean row houses, the open art, music, dance, history and more that I will share in another post. 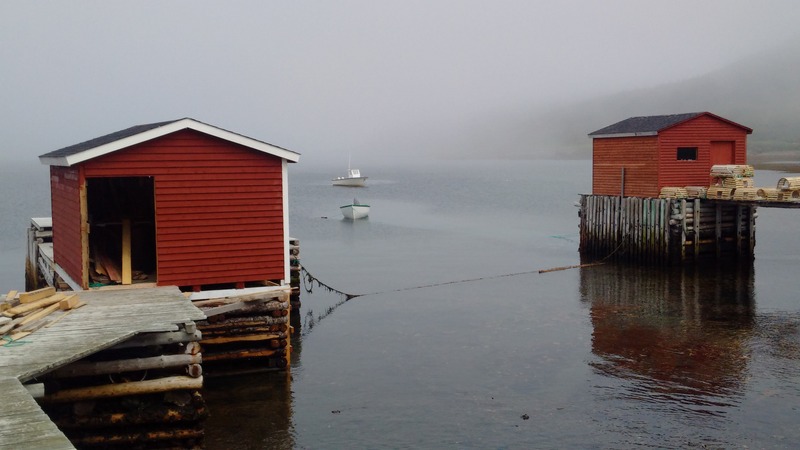 Don’t worry about the fog, if you’re in Conche – you’ll still see red for miles! Posted on August 3, 2015, in Art, Community Economic Development, French Shore, Heritage, Landscapes/Geography, Tradition and tagged Conche, crouse, Firewood, fishing, folk art, French Shore, Great Northern Peninsula, Newfoundland and Labrador, red, rooms, stage, Travel and Tourism, wharf. Bookmark the permalink. Leave a comment.